Treachery and corruption lurk at the end of every street, in the holy city of Othir. It’s the perfect place for a freelance assassin with no loyalties and even fewer scruples. Caim makes—or perhaps more accurately, takes—his living on the edge of a blade. Murder is a risky business, but so far he reckons he’s on the right side of it. Or he was... because when a short-notice contract job goes south, Caim finds himself thrust into the middle of a sinister plot in which he seems to be one of the primary marks. Pitted against crooked lawmen, rival killers and the darkest kinds of sorcery, it’s going to take more than luck if he’s to get through this alive. He may lack scruples, but he’s still got his knives, and his instincts, to rely on—and a developed sense of revenge, or should that be justice?—to fall back on. But when his path leads him from the hazardous back streets of Othir and into the highest halls of power, will instincts and weapons alone really be enough? This was a goodreads First Reads that I won almost two years ago, and I’m so mad at myself for letting it take me so long to read this wonderful adventure. We meet an assassin named Caim and a highborn girl named Josey, and what ensues as a conspiracy sets them both up for a government takeover. The tale pulled me in with suspense, mystery and great action as Caim and Josey discover the inner strength in themselves and each other. 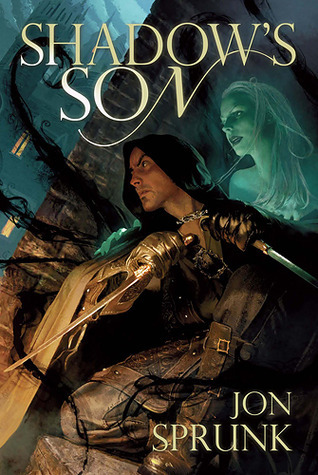 I’ve become fascinated with assassin tales and this fantastical book of shadows and sorcery did not fail me. I was glad that any romance that was involved in the book stayed in the background plot, because I personally don’t care for much of that. Caim needed Josey and Josey needed Caim in a way that was pertinent towards the goodwill of their nation. The author has a talent in creating engaging and suspenseful fight scenes, as well as evoking vivid imagery and emotions through a great use of descriptive writing. In all, I really liked the action and adventure that this book takes it’s readers on. We delve into the history and psyche of Caim as he comes to accept who and what he is, and what he stands for. I believe this is an amazing start to a series, and would love to read more.